Type III: The NRS Crew PFDs are ideal life jackets for flatwater boating and close-to-shore safety. Available in Youth and Child sizes. Keep your young people protected and safe. These jackets use high-quality PVC-Free foam flotation for high floating safety. Four side adjustments and a waist adjustment make for a comfortable fit. Child model has a leg strap to prevent jacket ride-up. Tough 200-denier nylon shell stands up to years of use. Design flotation: Youth - 12.3 lbs. 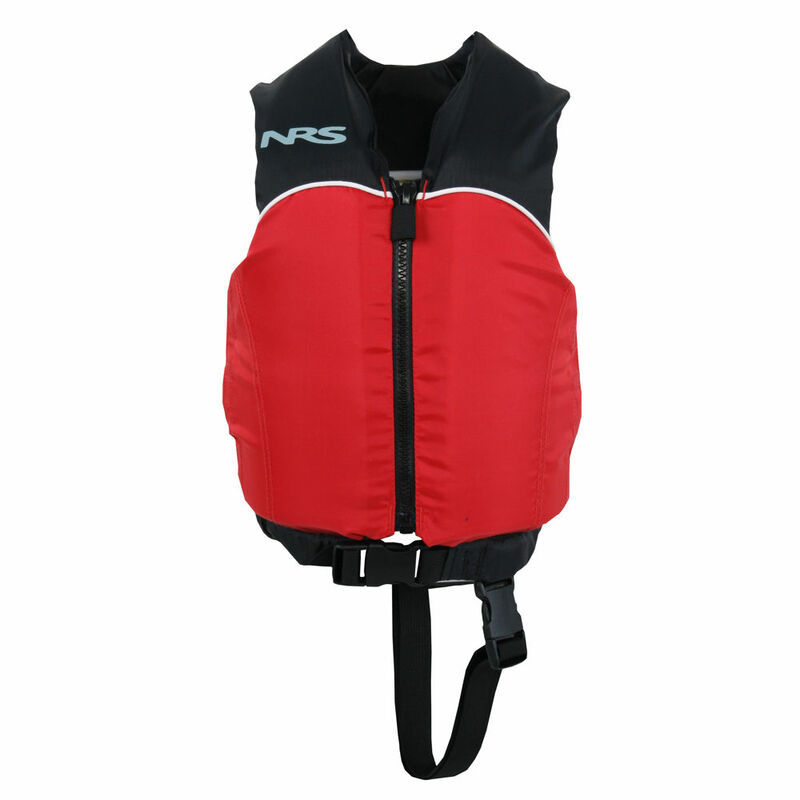 fits 50 - 90 lbs, Child - 7.3 lbs fits 30 - 50 lbs.Type III: The NRS Crew PFDs are ideal life jackets for flatwater boating and close-to-shore safety. Available in Youth and Child sizes. Keep your young people protected and safe. Design flotation: Youth - 12.3 lbs. fits 50 - 90 lbs, Child - 7.3 lbs fits 30 - 50 lbs.